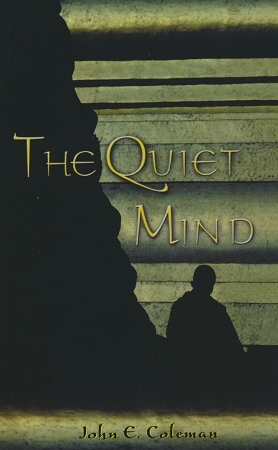 The Quiet Mind is a classic (and true) story of a spiritual odyssey. John Coleman, a CIA agent in Asia in the 1950's, is forced to resign when his cover is blown. He embarks on a vigorous pursuit of a different sort: a quest for spiritual truth. Coleman travels through India, Burma, Japan and Thailand and encounters such legendary teachers as Krishnamurti, Maharishi, D.T. Suzuki and Sayagyi U Ba Khin. His search for peace of mind and liberating insights comes to fruition in Yangon (Rangoon) under the tutelage of the great Vipassana meditation master U Ba Khin. First published in 1970, this new edition will be welcomed by a new generation of seekers and those already familiar with it. The book is very interesting. It's about the journey of eastern globe by writer in search of quiet mind and how he got Vipassana. In the meantime he visited as many eastern tradition and religious practices but found all of them far away from mystic experiance. It is only vipassana which made it possible. I don’t have any suitable word to express my gratitude to Mr. Coleman. Being a Vipassana meditator in his tradition I found valuable information about Guru U Ba Khin Jee and about his teaching method in this book. Amazing unforgettable book .